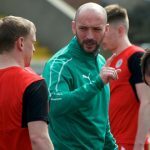 Daniel Hughes says he will have no divided loyalties when Cliftonville take on Warrenpoint Town tomorrow. 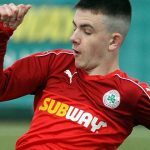 The 25-year-old striker contributed to the County Down outfit’s meteoric rise through the standings of Irish League football and, as he and boss Barry Gray – who coordinated the Milltown revolution from the sidelines – prepare to lock horns with their former employers for the first time since moving to Solitude, Hughes insists he’s fully focussed on delivering for the Reds. “There won’t be any mixed feelings,” he says. 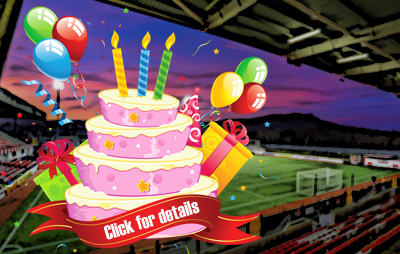 You can read the full Hughes interview in this weekend’s edition of our Matchday Magazine, which will be on sale at Solitude for £2.50. 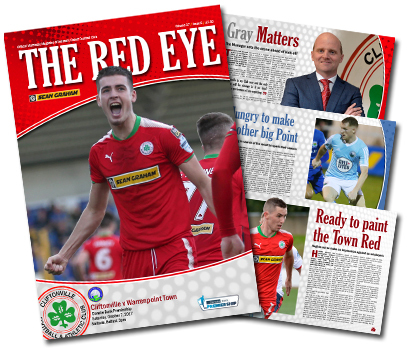 Alongside boss Gray’s pre-game views, The Red Eye’s eighth issue of the campaign reviews our visitors’ season to date, delivers the latest addition to your player poster collections and recalls the occasion when founding father John McCredy McAlery was forced to act as an emergency goalkeeper – plus plenty more besides.